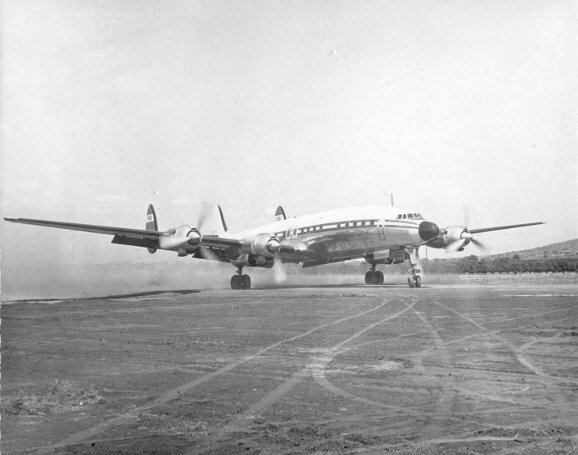 Trek Airways' first Starliner, ZS-DTM, arrived at Jan Smuts Airport on the 17th of February 1964 after her delivery flight from San Francisco in America. Amongst her crew were Tom Meredith, Fred Gratz, Ian Laatz and Cornelius Balt. 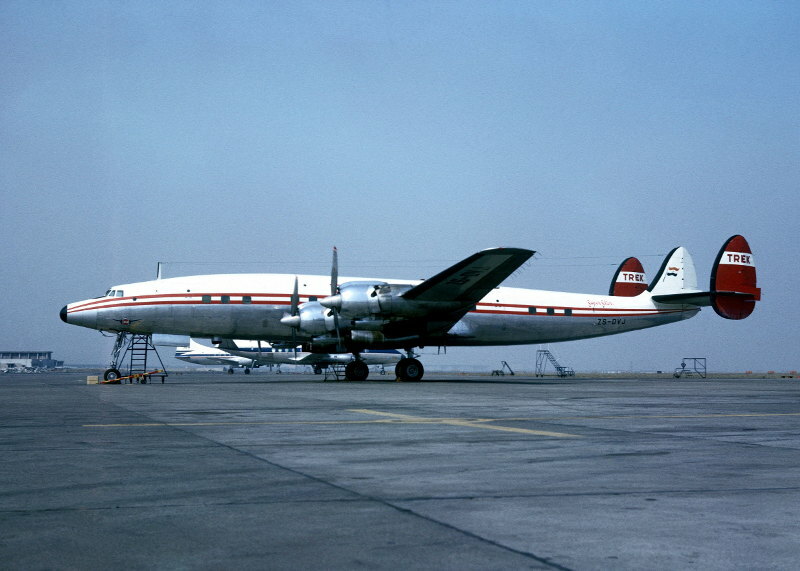 Trek's second Starliner, ZS-DVJ, began her delivery flight from America to Hamburg on the 2nd of March 1964. Amongst her crew were Tom Meredith and Captain Alan Petzer. When Trek Airways moved into the jet age they no longer required the services of the Starliners and they were sold. 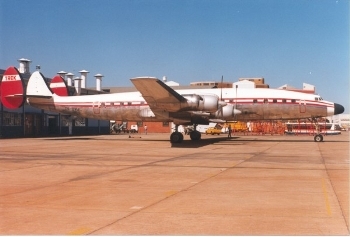 ZS-DVJ was retired by Trek Airways in April 1969 and stored at Johannesburg. ZS-DVJ’s sister ship ZS-FAB was sold to a Germiston scrap metal dealer for R5 000. When he realised he could not sell her for a profit ZS-FAB was broken up at the then Jan Smuts Airport. Starliner ZS-DVJ was the lucky one. On 27 July 1971 she was purchased, for R2000 by Mr. W.J. Pelser, owner of “Klein Kariba” pleasure resort just outside Warmbaths, now Bela-Bela. 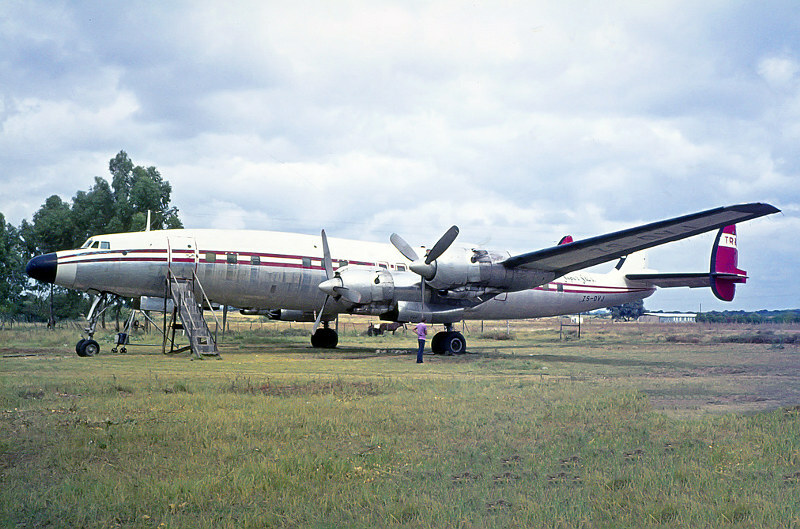 In May 1979 ZS-DVJ was donated to SAA. 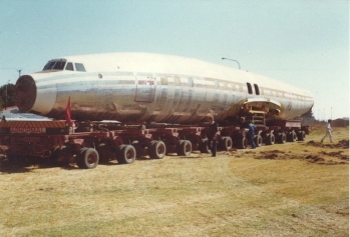 She was dismantled by SAA engineers, and taken by road to the then Jan Smuts Airport, arriving on 23 May, and painstakingly re-assembled. Restoration began in February 1984 and was completed in time for SAA’s Open Day on April 30, 1988. 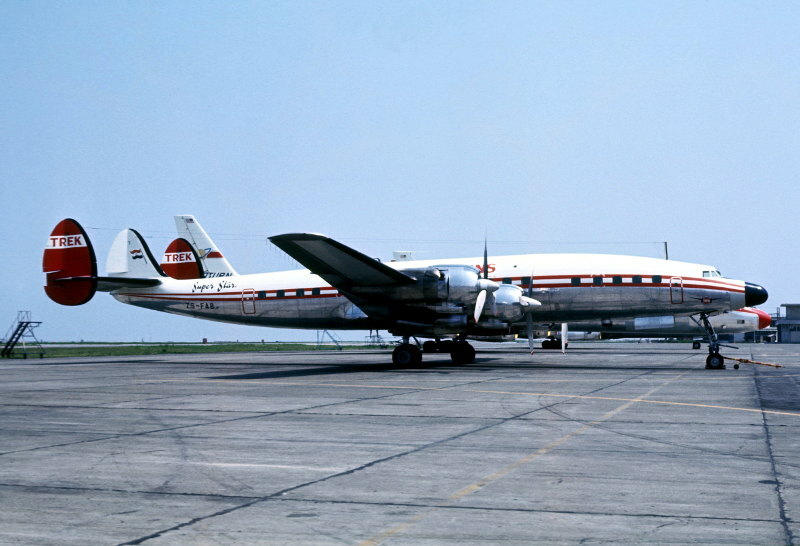 She was restored to her former elegant appearance in Trek Airways livery. Sadly she will never again grace our skies, her airframe being damaged beyond repair in the final move. ZS-DVJ is a stunning example of what a dedicated group of aviation enthusiasts, all members of the South African Airways Museum Society can do in the way of restoring a dilapidated old aircraft into something quite beautiful. During February of 2004 she was given a new coat of paint, again Trek Airways livery, which was generously donated by SAA Technical. She is one of four that survive in the world. It took many years but in 2018 the Starliner was eventually relocated to the SAA Museum at Rand Airport. The story of the Museum's “Connie” can be followed by visiting the various pages on our website, see links below. www.saamuseum.co.za/our-aircraft/71.html Basic history of ZS-DVJ. 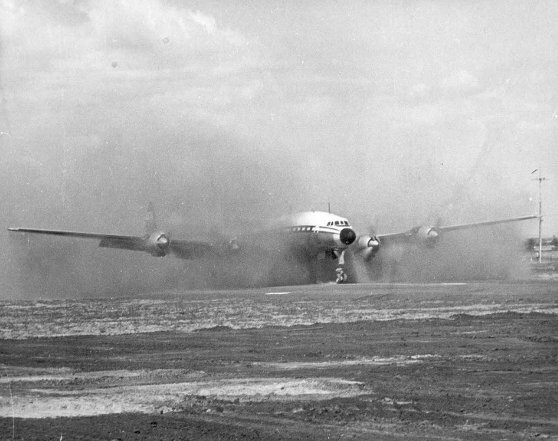 The dismantling at Klein Kariba in May 1979 and the reassembly at the then Jan Smuts Airport. 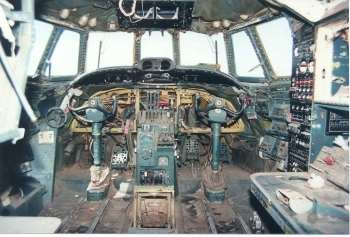 www.saamuseum.co.za/our-aircraft/99.html Dismantling beginning at SAA Technical in mid-2011 and completed by October 2017 at Denel Aviation. www.saamuseum.co.za/our-aircraft/106.html The move to Rand Airport, 12th of October to Friday 13th of October 2017.
www.saamuseum.co.za/our-aircraft/107.html Reassembly at Rand Airport, starting April 2018 and towing up to the Museum’s aircraft park, 17th of September 2018. 35.41 metres / 116.2 feet. 7.54 metres / 24.75 feet. 45,569 kgs / 91,645 lbs. 72,575 kgs / 160,000 lbs. 607kph at 5,670 metres / 377 mph at 18,600 feet. 467 kph / 290 mph. 7,225 metres / 23,700 feet. 7,950 km with 8,845 kg / 4,940 miles with 19,500 lb load or 9,945 km with 3,630 kg / 6,180 miles with 8,000 lb load. 4 x Wright R3350-18 Turbo-Compound 18 Cylinder, air-cooled radial engines delivering 2,535 kW / 3,400 HP driving Hamilton Standard Hydraulic 3 Blade propellers of 19 foot diameter. The members of the ZS-DVJ restoration team are good friends with Maurice Roundy, who until December 2007 was the owner of 3 of the 4 surviving Starliners world wide. 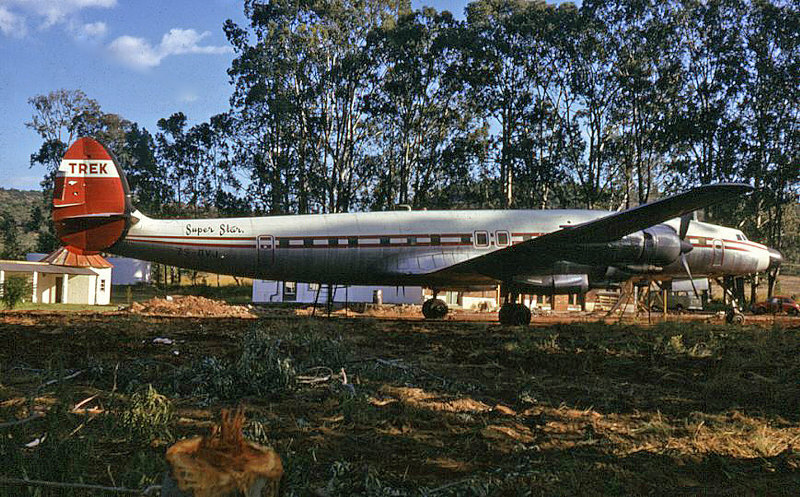 For a numbers of years several of the SAAMS Connie Restoration Team made the Journey to Maine to vist Maurice and his Starliners. In December 2007 the three Starliners were purchased by Deutsche Lufthansa Berlin-Stiftung (DLBS) and work began on restoring one of the aircraft to airworthy condition, namely N7316C. The task of restoring the aircraft was given to Lufthansa Technik.